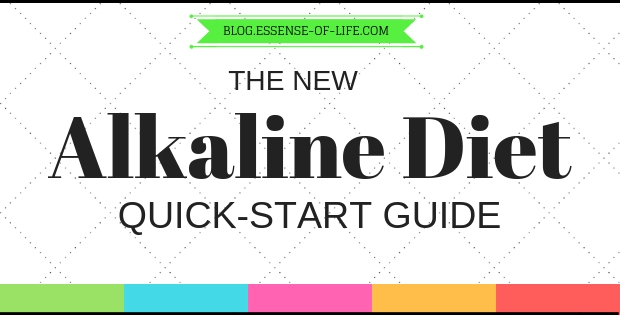 This alkaline diet quick-start guide provides a helpful overview of foods to eat and foods to avoid when starting an alkaline diet to improve health. This should be used as a guideline only. Please consult your doctor before beginning any new diet plan. The goal of an alkaline diet is eat more alkaline-forming foods to both increase your body’s alkaline reserves and to balance out your intake of acid-forming foods. An alkaline diet is mainly a plant-based diet. But not 100%. Just because a food has acid-forming properties does not mean that it is unhealthy. Your body needs the well-rounded intake of nutrition which can be found by eating a wide variety of foods. What is unhealthy is a diet that lacks balance. Vegetables are the most alkaline of foods and are at the core of an alkaline diet. Choose fresh organic produce grown locally whenever possible. You want organic to certify that the produce has been grown without toxic pesticides or fertilizers. You want local to ensure that the produce will be picked when actually fully ripe and will be sold soon after harvesting. The fresher the produce the more vitamin content. Vegetables can be eaten raw or cooked. If cooked, lightly steaming is the best way to preserve the most nutrient content since boiling in water destroys can some of the vitamins, or leach them off in the cooking water. Fruits are another alkaline food to include in your diet. Fruits are not as alkaline as vegetables, but they are full of plenty of healthy nutrients and fiber. Fruits should be eaten in moderation due to their sugar content. Choose colorful fruits such as berries over higher sugar content fruits like pears and apples. Be careful of dried fruits, which will have higher concentrations of sugar. Keep in mind that fruit sugar is a “complex” sugar, not a simple sugar like white sugar. Always choose organic to avoid toxic pesticide residue. Nuts are not only a good source of plant-based proteins, but they are also an excellent source of healthy omega 3 essential fatty acids, which help reduce inflammation. Eating more nuts could even protect against cancer! Choose raw nuts whenever possible over nuts sold with added salt and sugar, and roasted in unhealthy fats. Beans are a great way to get protein in your diet without the saturated fat found in meat. In addition, beans are also a great source of fiber. One cup of cooked beans provides up to half of the recommended daily dose of fiber. Beans are also high in antioxidants. In a U.S. Department of Agriculture study measuring the antioxidant capacities of common foods, three types of beans made the top of the list ( small red beans, red kidney beans, and pinto beans) and three more (black beans, navy beans, and black-eyed peas) made the top 40. Gluten is a protein found in wheat, and other grains such as spelt, barley, and rye, that’s hard for some people to digest. Even if you don’t have a gluten sensitivity, there are still many good reasons to choose gluten-free grains in your diet. Gut health is one important reason. Eliminating gluten from the diet may even prevent or solve Irritable Bowel Syndrome. Gluten-free grains and flours include amaranth, brown rice, buckwheat, corn grits (polenta), millet, oats, quinoa, sorghum, and teff. When it comes to animal proteins, choose sources which are lower in saturated fats and prepare them in healthy ways. “Making healthy protein choices is more about the fats that accompany the proteins and the preparation methods than it is about the actual proteins themselves.” Look for local, organic, and grass-fed options. Even though fresh foods are always the best source of minerals and vitamins, it may be hard to eat enough of these beneficial foods every day. If health or digestion is compromised, a more concentrated high potency source is recommended. A good multi-mineral, multi-vitamin supplement is a great way to get a daily boost of important nutrients. Or you can choose to supplement with individual specific minerals and vitamins as needed for a particular purpose. Your body cannot get the full benefit of the nutritious food you are eating if it is not digesting it properly and fully. Digestive enzymes and probiotic supplements help the body fully digest and process all the nutrients from the foods that we eat. In addition, they help prevent undigested proteins, which can cause inflammatory responses. The pancreas manufactures three important digestive enzymes: amylase which digests carbohydrates, protease which digests proteins, and lipase which digest fats. Dietary enzyme supplements help support an individual’s own secretions of pancreatic enzymes, allowing for more complete digestion. Prebiotics stimulate the growth and activity of probiotics by creating the essential environments for probiotics as well as our own indigenous bacteria to flourish. When a probiotic deficiency develops, candida yeast, an insidious fungus, can take over our intestines, destroying our natural probiotics and preventing them from providing us with their health benefits. A huge portion of your immune system is actually in your gut. That is why maintaining gut health is so important. Omega-3 essential fatty acids are “good” fats. They can help control inflammation, reduce the joint pain of rheumatoid arthritis, show benefits for depression and dementia, stabilize heart rhythms, reduce triglycerides, slow plaque buildup in blood vessels, and improve blood flow. The DHA and EPA forms of omega-3 fatty acids, found in fish, have the most health benefits. Choose fish lower in mercury, such as salmon, shrimp, pollock, tuna (light canned), tilapia, catfish, and cod. Avoid shark, swordfish, king mackerel, and tilefish, and limit albacore tuna. The plant-based form of omega-3 fatty acids, called ALA, is found in vegetable oils, flaxseed, walnuts, broccoli, and dark leafy vegetables such as spinach. Omega-3 fatty acids are called “essential” because your body can’t make them. You have to get them from the foods you eat, or take a supplemental form such as fish oil capsules or a vegetarian version harvested from algae. There are a wide range of herbal and other dietary supplements that have numerous health and wellness benefits. Whether you are needing to reduce inflammation or boost your immune system, adding supplements to a healthy alkaline diet can help. Milk and other dairy products can actually be more harmful than helpful to overall health. The synthetic hormones and routine antibiotics used by modern dairy farms to increase milk production get into the milk supply. Synthetic hormones and natural estrogens found in milk are linked with high risk factors for breast, prostate, colon, and lung cancers. Overexposure to antibiotics leads to resistance. In addition, many people are actually allergic or intolerant to dairy. When most people think of dairy products they think of calcium, but this is misleading. Plant-based sources of calcium are actually superior. Cows actually get their calcium by consuming calcium-rich plants, which contain a much more bio-available source of this important mineral because they also contain the magnesium, vitamin D, and vitamin K the body needs for calcium absorption and utilization. The most well-known issue with wheat is celiac disease, in which, for a small percentage of people, gluten causes an autoimmune reaction in the body. But even in people without celiac disease, wheat can trigger gluten sensitivities and other issues. Inflammation from wheat is also a problem even for people who aren’t sensitive to gluten specifically. Though coffee and tea may have some small health benefits, for anyone with compromised health it may be best to limit or avoid altogether. Both tea and coffee contain caffeine, which can disrupt sleep and overstimulate the heart. Some teas can also interact with medications and affect the way they work. The process of making tea and coffee can also concentrate the fluoride content of the water used if it isn’t from a purified or distilled source. Drinking alcohol can have a serious affect on the immune system and overall body health, especially the liver. The liver is a very important organ in the body with over 500 functions. Not only does the liver filter toxins out of the body, but it also stores and releases vitamins and minerals, is necessary for the digestion of nutrients, and is heavily involved in a healthy circulatory system. Alcohol—as well as the many chemicals and additives that may be present such as sulfites and preservatives—is a toxin and the liver must work quickly, diverting all of its resources to metabolizing it into non-toxic components. This means that all the other important functions of the liver are not prioritized. Drinking alcohol has been linked to disruption of the gut biome and gut permeability, which can lead to a wide range of health issues since a large percentage of the immune system actually resides in the gut. Many alcoholic drinks are also high in sugar, which itself can be damaging to the liver, and which has many negative effects on gut health. Polyunsaturated oils in their natural form are generally considered to be healthy fats. But fats should be eaten in moderation, even healthy ones. Make sure you always use fresh oils to avoid the risk of using an oil that has gone bad and turned rancid. Controlling insulin levels by removing added sugar from the diet is one of the best things you can do to lower your risk of cancer. Even the American Heart Association urges people to significantly cut back on the amount of sugar they get. A typical adolescent gets up to 73 grams of sugar a day from sweetened drinks alone! Although there are natural sugars in fruits and vegetables, it does not compare to sugar-sweetened drinks and desserts. If you get fructose from fruits and vegetables, you will only consume about 15 grams per day. Vegetables and fruits also contain important fiber, vitamins, minerals, enzymes, and beneficial phytonutrients, which help moderate any negative metabolic effects from the small amount of sugars they contain. Artificial sweeteners such as sucralose (Splenda), aspartame, and saccharine may sweeten food without the calories or effects of sugars, but that doesn’t mean they are actually healthy. Aspartame breaks down into its component parts after digestion and can form toxic by-products such as formaldehyde. Aspartame is a known excito-toxin which causes neurons to fire spasmodically, causing neuron damage over time. It has been linked with migraines, seizures, brain tumors, sudden cardiac death, and multiple sclerosis. The other problem with artificial sweeteners is that they can trick the body into thinking it is still trying to process sugar, leading to an increased risk of obesity! One study found that Splenda can kill up to 50% of healthy gut bacteria and raise intestinal pH levels. And according to an article published in the National Geographic magazine, artificial sweeteners may raise blood sugar levels—a condition the sugar substitutes aim to help prevent—by altering digestive bacteria. The list is endless when it comes to reasons to avoid all processed and fast foods. From high calorie content and “bad” fats to lack of any nutrition, these unhealthy and unnatural foods contribute to more serious health problems than you may realize. Hydrogenated oils are often healthy in their natural state, but during processing to make a shelf-stable product for the food industry, these oils are subjected to high heat and pressure, as well as a metal catalyst, which increases their density so that they remain solid at room temperature. The molecular structure is so altered that the new product is closer to plastic than to oil. MSG, or monosodium glutamate, is a salty flavor enhancer additive found in most fast and processed foods. It overstimulates brain neuron activity, disrupts the endocrine system, and is considered an excitotoxin. MSG is found under many names on an ingredients panel: glutamate, autolyzed yeast, yeast extract, textured protein, and “natural” flavors, to name a few. Because it is cheap and makes bland foods more appetizing, it has been linked to rising obesity rates. Some symptoms of MSG use, especially in sensitive individuals or over extended periods of intake, include migraines, seizures, panic attacks, heart arrhythmia, extreme changes in blood pressure, body aches, stomach issues, hives, blurred vision, and more. The Bible famously warns against the eating of pork. This may be due to the fact that pigs are scavenger animals and that the meat of the pig becomes more saturated with toxins than many of its counterpart farm animals. Because a pig’s digestive system is very basic and digests quickly, toxins can remain in the system and be stored in fatty tissues. In addition, pigs have few sweat glands to rid their body of built up toxins. Trichinosis, a parasitic infection, is also a concern for humans if undercooked pork from an infected animal is consumed. Just like as with cows, modern factory farming creates overcrowded, unsanitary, and unhealthy living conditions where overuse of antibiotics in necessary to keep pigs healthy enough to bring to slaughter. Furthermore, processed pork products such as bacon, ham, and sausage contain preservatives like nitrates and nitrates, and have been linked to increased risk of colorectal cancer. 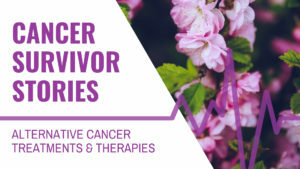 Soy contains phytoestrogen, a natural chemical that mimics the female hormone estrogen, which has been linked to increased risk of breast cancer. Soybeans, like other legumes, also contain phytic acid, which can block the absorption of certain minerals in the body, as well as potent enzyme inhibitors. Fermentation of soy into miso, tofu, or tempeh can reduce these levels, but commercially prepared products are not ideal. Some soy products can contain hemaglutinin, which cause red blood cells to clump together, reducing their oxygen carrying ability. Soy crops have one of the highest percentages of pesticide contamination as well. Starting an alkaline diet can be as easy as making a few changes every day to choose healthier foods. To make those changes easier, use these helpful products everyday to get the most from your alkaline diet! Why is pH balance important? Our bodies rely on the alkalinity of minerals (and vitamins as co-factors to minerals) to neutralize acids and maintain a healthy pH balance. Many factors can upset healthy pH balance. When our diets are mineral-deficient, our bodies become acidic, our tissues become inflamed, and eventually we become prone to disease. Unfortunately, despite our best efforts to eat a well-balanced diet, our crop plants contain only a fraction of the vitamins, minerals, and other nutrients they contained a century ago, according to the US Department of Agriculture (USDA). pH Balancer Daily Alkalizer has been formulated to restore a healthy pH balance. 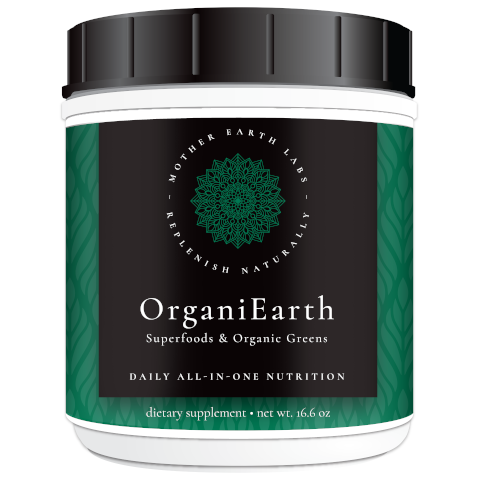 OrganiEarth Superfoods and Organic Greens contains over 175 natural and organic ingredients including greens, fruits, herbs, superfoods, digestive enzymes, probiotics, and prebiotics. Provides a daily supply of essential vitamins, minerals, nutrients, and electrolytes. The most comprehensive all-in-one daily multi-vitamin/mineral product (including greens and superfoods) available today!